Basically there are three ways that an online sports gambling establishment will specify odds. They are American, Decimal and Fractional. We will give a brief explanation of each type in this Tutorial and explain how to make conversions among them. Remember, understanding the odds is crucial to making intelligent sports bets. This is known as “American Style” odds. It is based on betting or winning $100. For American odds that are positive, such as +200, then it is based on betting $100. At +200 if you bet $100, then you will win $200 if your team prevails. If the American odds is negative, such as -200, then it is based on how much you have to wager to win $100. At -200 you would wager $200 to win $100 if your team prevails. This is known as “Decimal Style” or sometimes “European Style” odds. 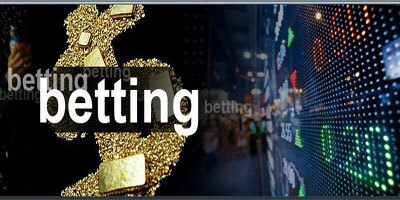 It is a multiple used to determine how much the sportsbook will pay out if your bet prevails. At 3.0, if you bet $100 and your bet wins, the sportsbook will pay out (3.0)($100) = $300. Note that unlike American style odds this payout amount includes the refund of your original bet. Your profit is $200, thus 3.0 is the decimal odds equivalent of +200. If you bet $200 at decimal odds of 1.5, and your bet wins, your payout is (1.5)($200) = $300, for $100 profit. 1.5 is the decimal equivalent of -200. This is known as “Fractional Style” odds, spoken “two-to-one”. It shows the ratio of profit (on the left) to the wager (on the right). $200 profit would be earned on a $100 wager placed at 2/1 odds. It is the equivalent of +200 (American) and 3.0 (Decimal). Similarly, 1/2 is the equivalent of -200 (American) and 1.5 (Decimal). Fractional odds are not used very often outside of the UK and Ireland. To convert American odds to European, simply divide an underdog's price (positive odds) by 100 and add 1, or divide the favorite's price (negative odds) into 100 (after dropping the minus-sign) and add 1. To convert decimal odds of less than 2.0 to American, subtract 1 and divide into -100. For odds greater than 2.0, subtract 1 and multiply by 100. If we use odds from our general example above, American odds offered for a Brazil win (a favorite so American odds are negative)are -250. We lose the minus sign and it's (100 / 250) + 1 equals 1.40. And for positive odds we take England to win, an underdog, odds are +400, it's (400/100) + 1 equals 5.00. To convert European odds to American we take odds for a Brazil win which is offered at 1.40, so under 2.00. It's 100/ (1.40 - 1) equals 250. Now for odds over 2.00 we take England to win at odds 5.00, so it's (5.00 - 1) x 100 equals 400. Now this is more simple. We just divide two sides (left and right number) of British odds to get a fraction and add 1. Brazil win in British odds is valued at 2/5. It's 2/5 equals 0.4 + 1 equals 1.40. Simple. When converting decimal odds to fractions some round off error may occur, since some odds don't have an exact translation into British-style fractions. American odds that start with a + sign (+150) show you how much money you will make for every $100 bet, not including your original $100. To work out the fractional odds simply divide the expected profit by 100. (150/100 = 1.5/1). And now multiple both sides with 10 and you get 15/10. To work out the decimal odds just add the two fractional odds together (1.5 +1 = 2.5). "Betting guide: American, decimal and fractional odds explained"